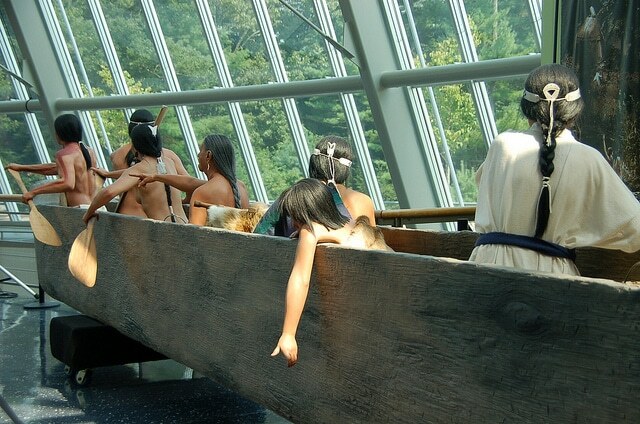 This beautiful Mashantucket Pequot Museum and Research Center celebrates the culture and history of the region’s Native peoples through award-winning interactive and multimedia exhibits. Devoted to educating visitors on the diversity and rich cultures of this Mashantucket Pequot Tribal Nation, their 308,000 square foot facility encourages education through interaction. If you’ve already been interested in the history and culture of the Native American peoples, this is certainly one of the most highly reputed places to do in the country, with a whole scholarly community devote to developing ethnographic, archival, library and archaeological collections that will further preserve and educate the public on this unique aspect of our Country’s history. Located in Mashantucket, Connecticut on the Mashantucket Pequot Reservation, the Research Center is funded largely through the prosperity of the tribe’s successful Foxwoods Resort Casino which is located close by. The museum is open Wednesday through Saturday from 9 am to 5 pm and closes Thanksgiving day for the winter months. Adult ticket prices are $20 and go down from there based on age and student status, making this an affordable educational day spent, and a great place to stop in if you are heading to the casino for some gambling or live entertainment. Focusing on the creation story of the tribe, you will see it told through artwork and storytelling shows. This exhibit portrays the wildlife of the cold climate and what the tribe would have had to live among, but also the wealth of the resources provided in the many large game animals they hunted. Learn not only how they survived in the cold months, but how they adapted to the seasons in a video depicting the numerous prehistoric tools used through the Northeast, what they were used for and how they were made. The resourcefulness of these hunter-gatherer tribes is sure to shock you! In 1637 after the arrival of the European settlers, the Mystic fort was attacked by the colonies of Connecticut and Massachusetts. Come view The Witness, a film about the atrocities that took place all those years ago when nearly 600 Pequots were killed in a battle over their land. This exhibit will teach you about what life on the reservation was like from the 1600s through the 1980s through recreated homes and farmsteads, as well as the film Bringing the People Home. After centuries of oppression and persecution, the tribe survived through to their economic prosperity of today. Since opening Foxwoods in 1986, the tribe has continued in multiple successful business ventures and is now one of the state’s largest taxpayers and employers. 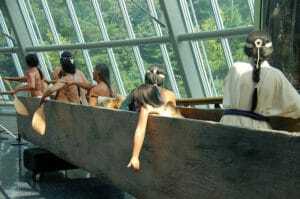 The Mashantucket Pequot Tribal Museum and Research is well worth the visit to learn not only about the history of these people, but of the land they lived on. For more ideas of place to visit while in the area, download this free Mystic Vacation Guide!